The Harrison College PTA presents their annual Mosaic Variety Concert. Featuring a spell-binding mix of youth and experience, covering a range of genres from pop to jazz and classics to calypso. 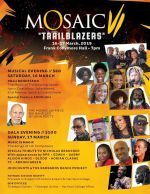 Featuring works by Harrison College songwriters Shontelle, Simon Pipe, Ayana John and others. The event is being held under the distinguished patronage of Sir Kenneth Hewitt. 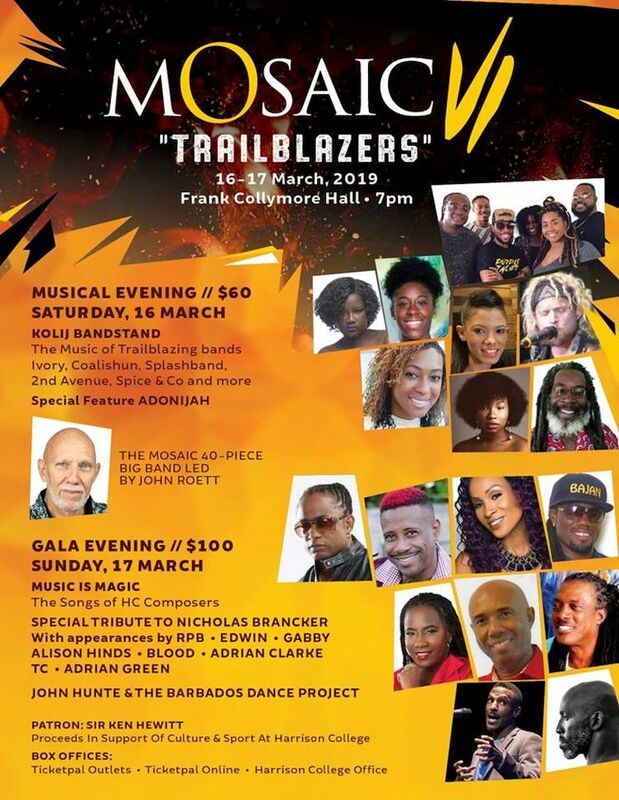 Tickets can be obtained at all TicketPal outlets: CS Pharmacy, Bridgetown; Ticket Centre Warrens; A&B Music, Sheraton Centre; Lucky Horseshoe, Worthing and Warrens; NU Look, Bridgetown; Emerald City, Six Roads; Carlton Supermarket, Black Rock; Rubis Service Station, Wildey; Lloyd Erskine Sandiford Centre, 2 Mile Hill; Sol Service Station, Speighstown; Sol Service Station, Redmans Village and the Office of the Secretary-Treasurer, Harrison College.